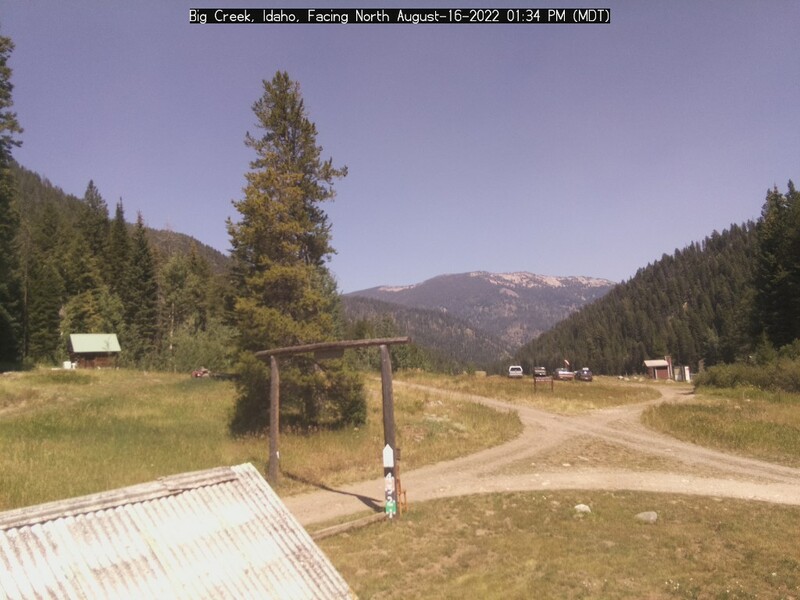 Yellow Pine: We have received over 2″ of rain in the last 3 days and snowed last night. Local streets are mostly bare, slushy in the shady spots. A report on Monday that the road was down to one lane about a mile north of Rainbow Bridge due to slides. Probably cleared by now. South Fork Road: Report Wed (Apr 10) the SF is mostly bare, mail truck driver had to stop 3 times on the way in to move large rocks out of the road. Watch for fresh rockfall. EFSF Road: Local plow went out and cleaned the “bowling alley” April 9th. Mail truck driver reports (Wed Apr 10) that the EFSF road is mostly bare, a little snow on this end. No rocks to move. The log jam near the bowling alley has broken up and moved down river. Lower Johnson Creek Road: Mail truck driver reports the road is bare out to Wapiti Meadow Ranch. This entry was posted in Road Reports on April 10, 2019 by The Yellow Pine Times. Evening Update: Valley County Crew worked the Poverty slide and the mail truck was able to make it out. However, it is still raining, mud, rocks and trees are still coming down. TRAVEL AT YOUR OWN RISK – and carry a chain saw. Afternoon update 4/8: A new slide on the South Fork has blocked the road in the Poverty Flats area, crews have been notified. It is rock migration season. In 24 hours ending 4/8 10am, Yellow Pine received 1.18″ of rain. Receiving reports of rocks and slides on the South Fork and East Fork roads. Crews from both Cascade and Yellow Pine are working on the mess this morning. Sounds like there is a big rock at MM13 blocking the South Fork. Here is a photo taken this morning on the EFSF road upstream from Caton Creek. Bowling Alley has rocks down too. Noon Update: both roads have been cleared, but rocks are still coming down. Watch for fresh rock fall, it has been suggested that folks call before traveling to arrange a “rescue” in case the road gets plugged again. This entry was posted in Road Reports on April 8, 2019 by The Yellow Pine Times. It is still trying to be Spring in the back country, but there is still a lot of snow in the high country. The only way to get to Yellow Pine is via the South Fork route. It is still travel at your own risk and remember there is no cell phone service. Some roads still have ice and snow. Trees and/or rocks may be down in the road. Higher elevation roads are closed. Conditions change quickly this time of year. Please share road reports and take photos of rocks and slides so they can be passed along to the plow operator. Yellow Pine: Warm weather and over half inch of rain in the last few days has melted quite a bit of snow. Several local streets are down to bare ground, with slushy patches in the shade. An average of 4″ old snow/ice on the ground today (Sunday). Click for Local Forecast. 100% chance of rain in the next 48 hours. Warm Lake Highway: Looks like Big Creek summit received a few inches of new snow in the last 24 hours. Old report Wed (Mar 27) Warm Lake Hwy is pretty much bare in the lower parts, the hills have ice in the shady spots. South Fork Road: Report Wed (Apr 3) mail truck driver (Dean) said most of the road is down to pavement now, a few icy patches near the top in the shady places. The Tea Pot weather station recorded half inch of rain in the last 24 hours (4/7) watch for falling rocks and trees. EFSF Road: Report Wed (Apr 3) mail truck driver said this end of the EFSF is snow/slush covered. Did not report any rocks. Made good time, only had to put it in 4×4 when he got close to Yellow Pine. 4/7 We have had over half an inch of rain the last few days, watch for fresh rocks. Lower Johnson Creek Road: No recent reports. Last report Saturday (March 16) a few bare spots, starting to break up, road is pretty good. Yellow Pine to Stibnite: Midas Gold is keeping the road open. Spring break up is coming, so the road may be gated to full sized rigs. 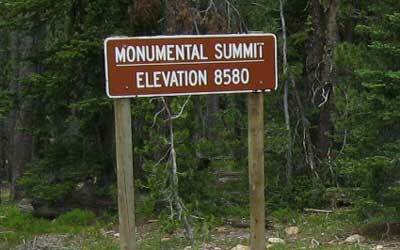 Deadwood Summit: Closed to wheeled vehicles. Deadwood Lodge is reporting a couple inches of new snow, and the summit received 6-8″ new snow. 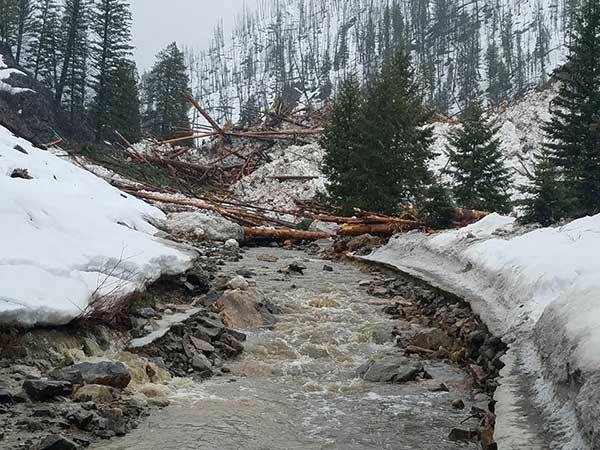 This entry was posted in Road Reports on April 7, 2019 by The Yellow Pine Times. It is trying to be Spring in the back country, but there is still a lot of snow in the high country. 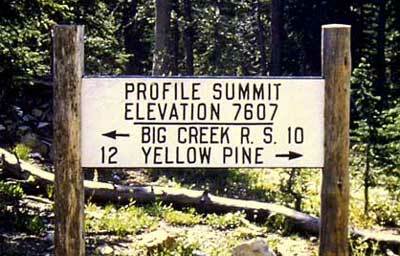 The only way to get to Yellow Pine is via the South Fork route. It is still travel at your own risk and remember there is no cell phone service. Some roads still have ice and snow. Trees and/or rocks may be down in the road. Higher elevation roads are closed. Conditions change quickly this time of year. Please share road reports. Yellow Pine: Warm weather and a little rain in the last few days has melted quite a bit of snow. Several local streets are down to bare ground, with slushy patches in the shade. An average of 8″ old snow on the ground Wednesday morning. Warm Lake Highway: Old report Wed (Mar 27) Warm Lake Hwy is pretty much bare in the lower parts, the hills have ice in the shady spots. South Fork Road: Report Wed (Apr 3) mail truck driver (Dean) said most of the road is down to pavement now, a few icy patches near the top in the shady places. EFSF Road: Report Wed (Apr 3) mail truck driver said this end of the EFSF is snow/slush covered. Did not report any rocks. Made good time, only had to put it in 4×4 when he got close to Yellow Pine. Lower Johnson Creek Road: No recent reports. Last report Saturday (March 16) a few bare spots, starting to break up, road is pretty good. Probably more open ground by now. This entry was posted in Road Reports on April 3, 2019 by The Yellow Pine Times. Yellow Pine: We had some rain mid-week, down to 12″ old snow on the flat. Local streets are starting to break up, patches of dirt in the sunny places, snow packed and icy in the shade. Local snow plow has been scraping slush off the roads recently. Warm Lake Highway: Report Wed (Mar 27) Warm Lake Hwy is pretty much bare in the lower parts, the hills have ice in the shady spots. South Fork Road: Got a report of a big slide south of Krassel at MM 26 Wednesday or Thursday. Local plow went out and cleaned up the slide. Report from Wednesday (March 27) mail truck driver (Robert) says the lower parts are pretty much bare pavement – watch for pot holes – until you get up to around Reed Ranch, then it is rough, icy and rutted. EFSF Road: Report the local plow went out and knocked rocks off the road Thursday or Friday. Watch for more rocks coming down with the freeze thaw cycle. This entry was posted in Road Reports on March 31, 2019 by The Yellow Pine Times.